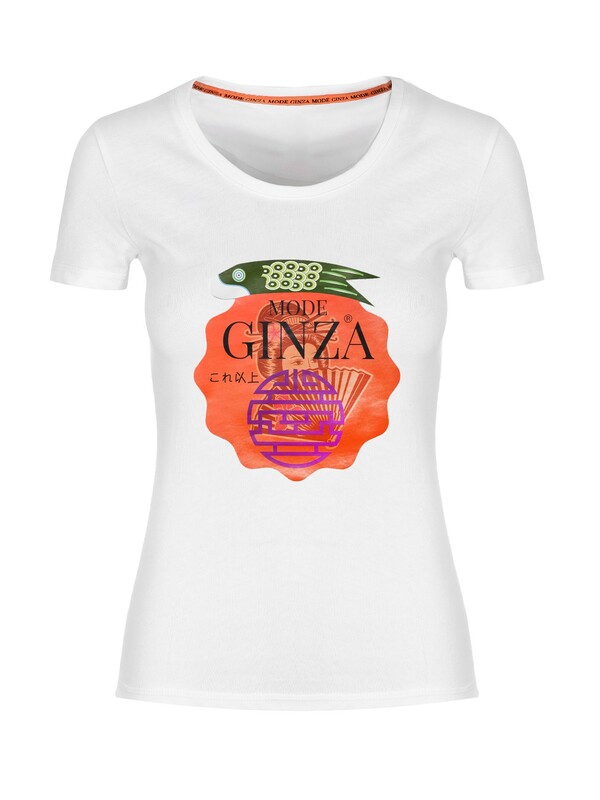 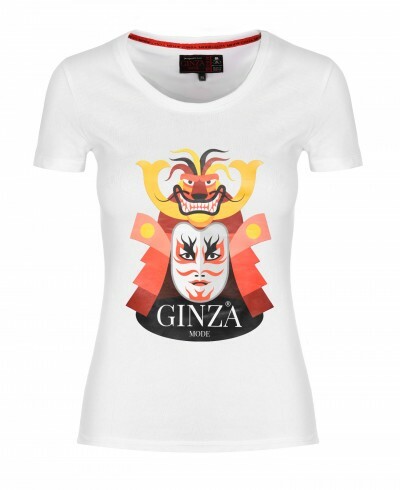 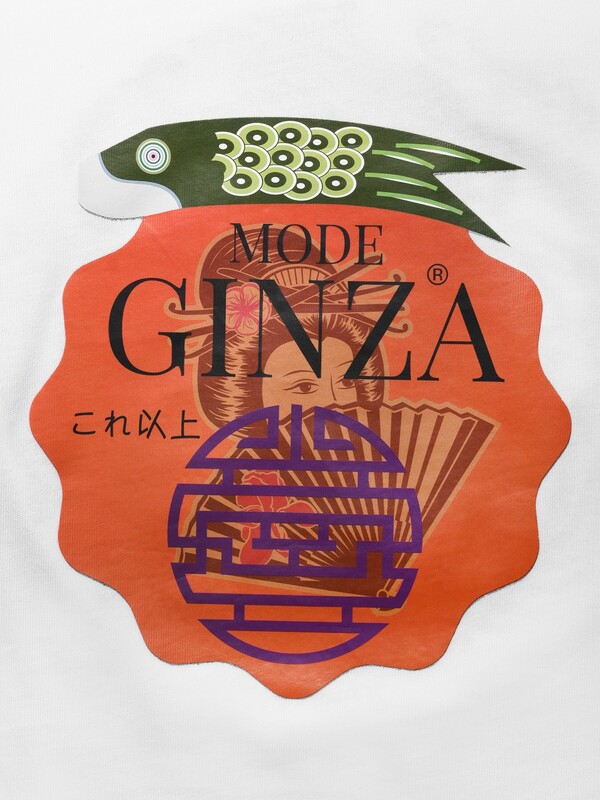 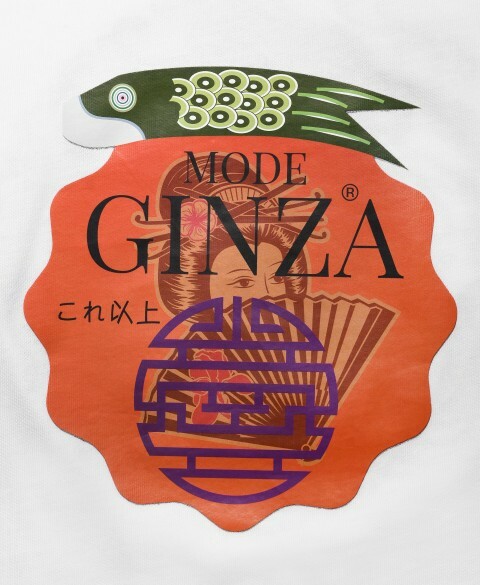 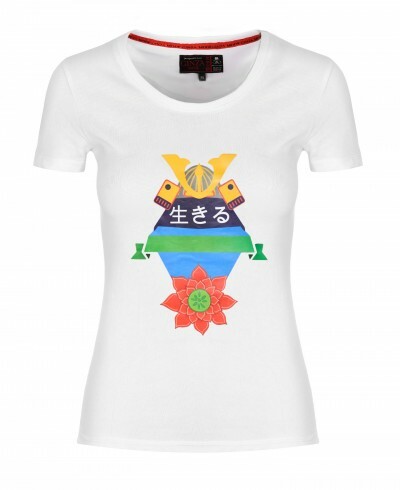 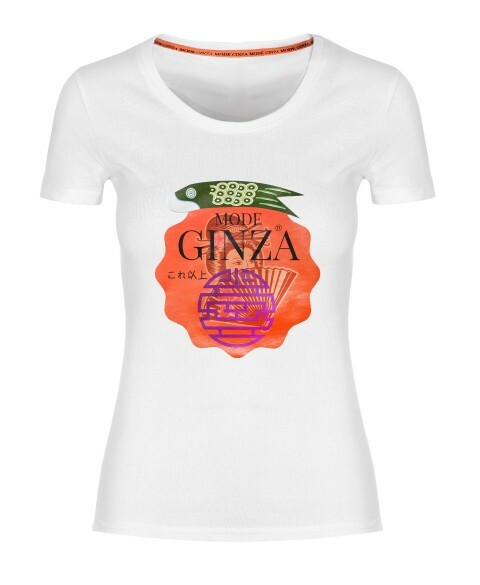 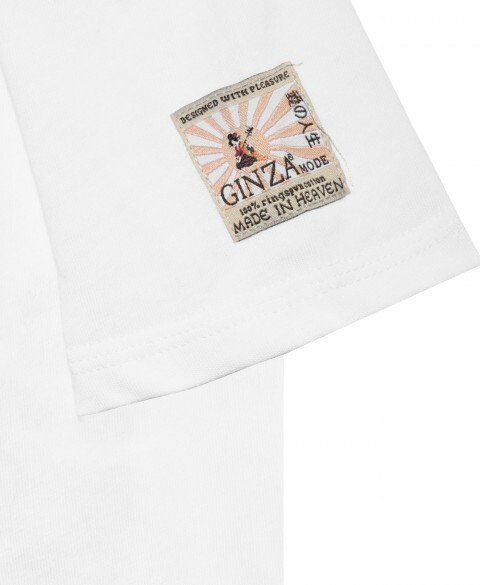 GINZA Mode women t-shirt. 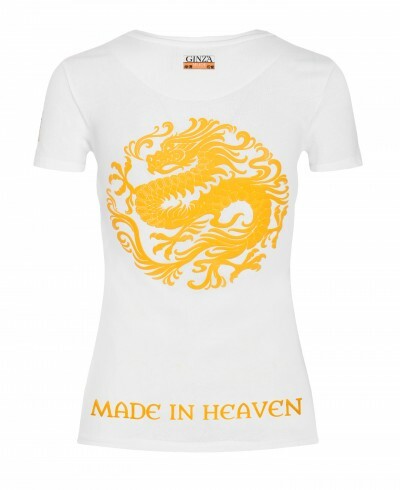 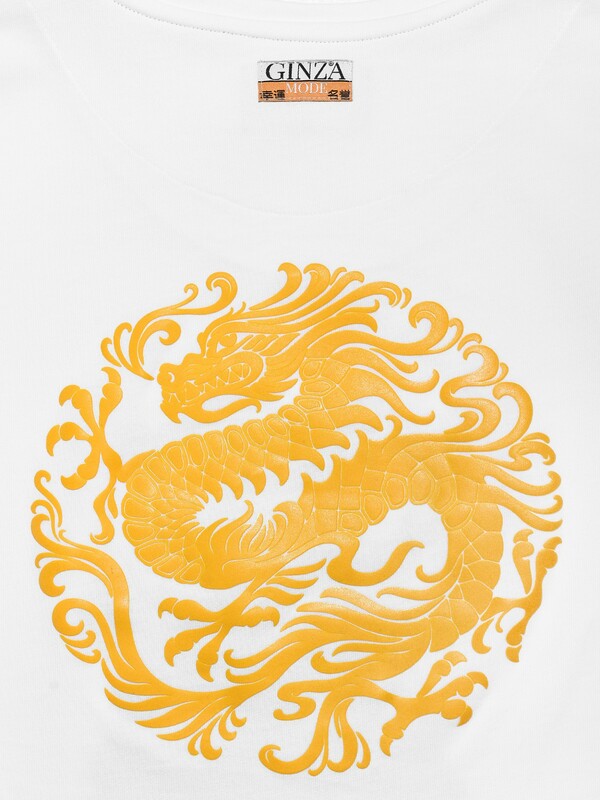 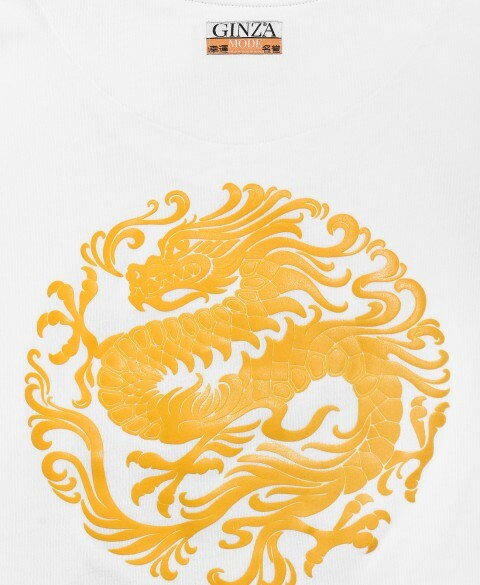 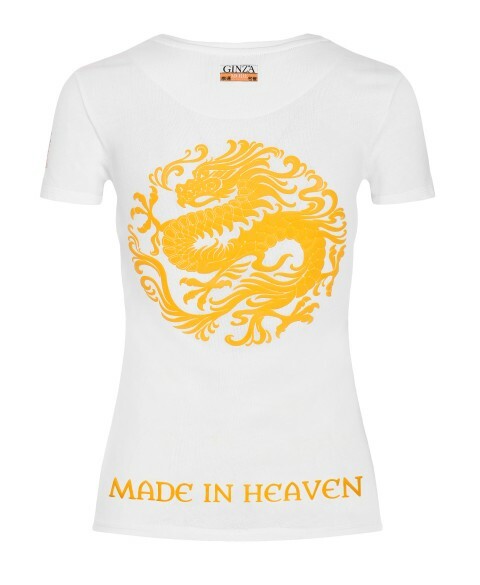 A classic low crew neck t-shirt with medium-slim fit, featuring high-quality raised plasticised prints across the chest and back, high density stitching embroidery, multiple logos and slogans and meticulously finished by hand by a dedicated craftsman. 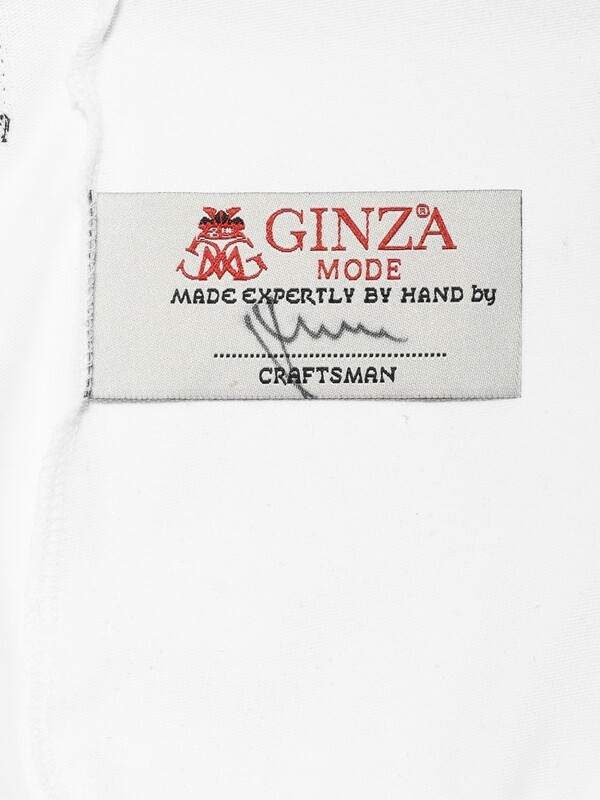 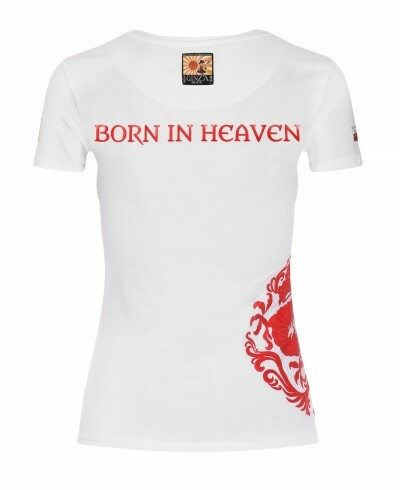 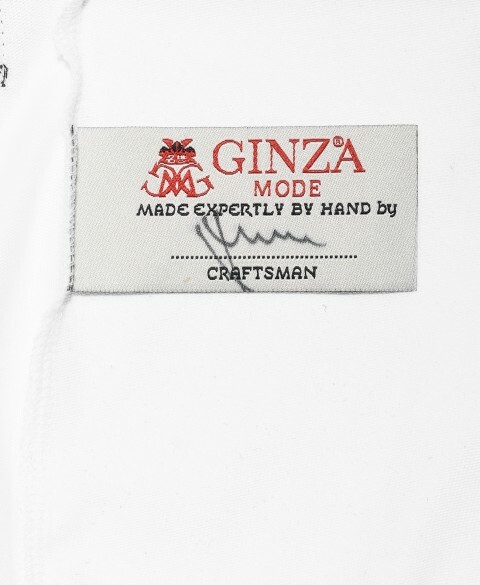 Each garment carries a personal hand-signed label. 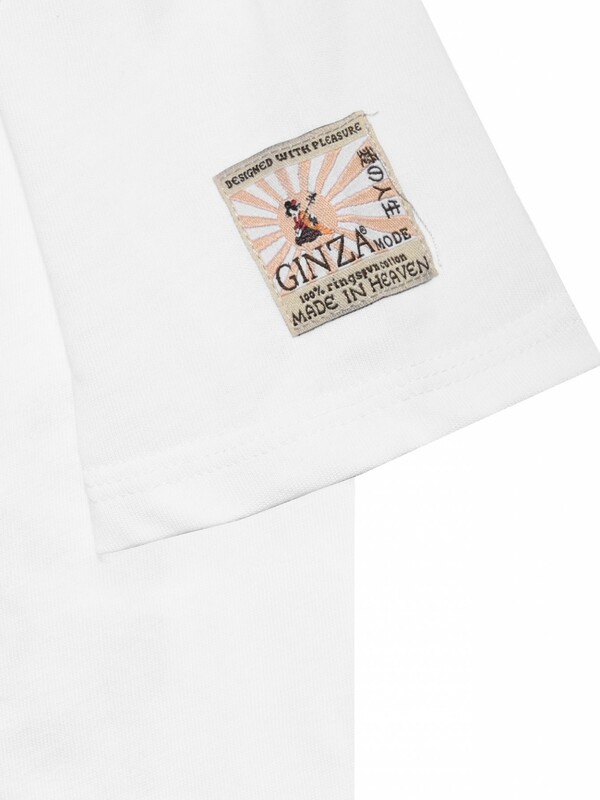 100% ringspun long-staple cotton, biopolished and brushed for softness.